With IFCI Factors Limited since September 2010. 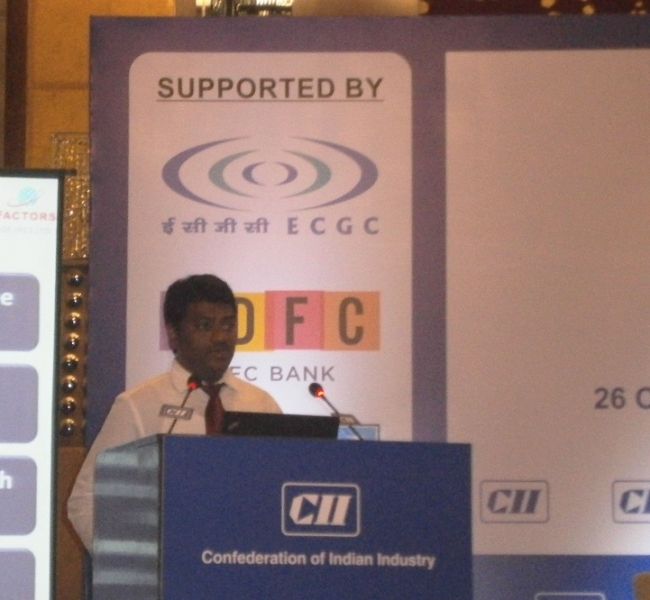 Currently designated as Vice President and heading Southern Region at IFCI Factors Ltd. I am responsible for the entire southern region activities with respect to Factoring, Trade Finance, Working Capital Finance with special focus on International Trade Finance to promote SSI, MSME & SME sectors. With over 12 years of experience in the financial sector and I have been fortunate to previously work with Tyco Electronics Limited, Hong Kong and Shanghai Banking Corporation Limited (HSBC) and ICICI Bank Limited, and with SBI Global Factors Limited as Regional Head -Business Development. It all started when I came with my good friend Vijayakannan (Currently with Hero Motors) for attending the admission procedure of Sri Balaji Society in Chennai. I was waiting for my friend at the lobby and that is when I met the Honorable Founder - BALA Sir. He asked me to take up the admission process and I replied that I did not submit application yet. He said no issues and instructed the team to include my name for admission process. It was a pleasant surprise since both of our names were in the final selection list and that is how we landed in Sri Balaji Society – Balaji Institute of Modern Management - BIMM (previously IIMM). Life at college was a mix of everything and we had a chance to interact with lot of people from different region and places. At that time we did not have major infrastructure & facilities but still we enjoyed every moment. Timing schedules were really tough and that is what is helping us exactly in this current corporate world schedules. I would like to thank all my batch mates who had been the pillar of strength and ensured that I enjoy my every moment at the college. Got my campus placement through Sri Balaji Society and expected a smooth sail through. Somehow I felt that something was missing and at a stage felt that I needed a change and started searching for different career options. Got my breakthrough when I joined ICICI Bank Limited and took up a tough challenge of performing in financial sector. It was a great success and from there my journey never ended till now and in the process got associated with great names like HSBC Limited, SBI Global & IFCI Factors Limited .It was a great learning altogether and I was able to carve out a niche for myself in this financial services industry. I am an active member, mentor & speaker of different trade, Industrial & financial forums /associations and impart as much as knowledge for financial development of budding entrepreneurs. On a personal note my better half is a nutrition and dietics consultant and putting her best efforts in supporting me and effectively balancing between her ambitions & motherhood. We are blessed with a daughter who is the best motivation for us. She has filled our lives with loads of love and happiness. My advice to all work hard & enjoy your life to the fullest. You never get your time back. I thank Sri Balaji Society for the incredible platform provided to launch our corporate careers and wish the current student managers and Alumni community worldwide - all the success.